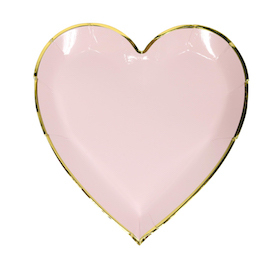 Our marshmallow pink heart shaped plates with metallic gold rim are perfectly sweet for all occasions! 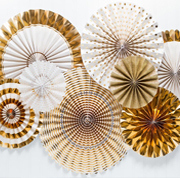 Produced with a gorgeous metallic gloss finish, these quality paper plates are the ideal addition to dress up any occasion. 10 party-perfect plates per pack.